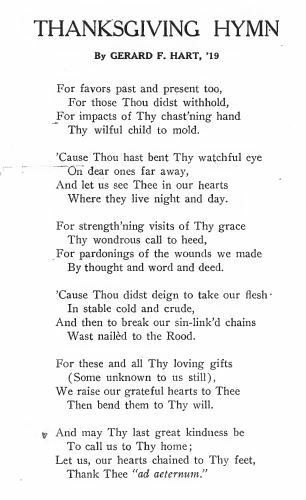 The ‘Cats who worked on The Villanovan newspaper filled the November 1916 issue primarily with their Thanksgiving-themed original stories and poetry, including the hymn below by Gerard F. Hart, class of 1919. Their works were especially poignant as one of the worst moments of World War I, the Battle of the Somme, took place that year. May all Villanovans enjoy Thanksgiving with their family and friends. Amen. 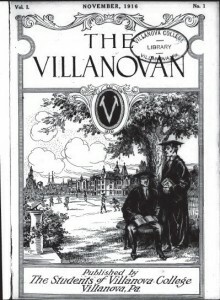 Images from the Villanova University Digital Library. ‘Caturday post by Luisa Cywinski, writer for the Communication and Service Promotion team and team leader of Access Services.